The Beatles played five residencies in Hamburg between 1960 and 1962, the last of which is captured here in December of 1962, just a few months after Ringo Starr replaced Pete Best and finalized the lineup that would soon be known as The Fab Four. The group would soon be signed to Parlophone and the rest, as they say, is history. This is part two of two historical live recordings that capture the band just before they rocketed to stardom. 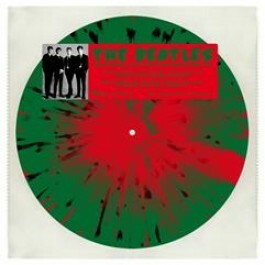 A truly important piece of Beatle history pressed in a limited edition of 300 copies on green vinyl with red and black splatter.